Every department has a different variety of buildings in their jurisdiction and no jurisdiction is the same. Super Vac has two different PPV guard options that enable the fan to have different airstreams. With two guards to choose from, departments are able to choose the best option for their particular needs. Both guards are equally effective, but airflow patterns create easier setups in different situations. 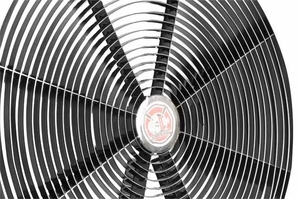 The new Stream Shaper Guard has an air stream that is narrower, causing more pressure in front of the shroud of the fan. This is a great pattern for scenarios where departments need a more precise airflow, such as high rise buildings and floor plans with many small rooms. This pattern can be set up further from the entrance to the building leaving more room for personnel entering the building.